Big News - Batting Cage available! We now have a batting cage (live pitching only at this time) for rent! Please call 724-684-6260 or 724-544-1721 for more info. 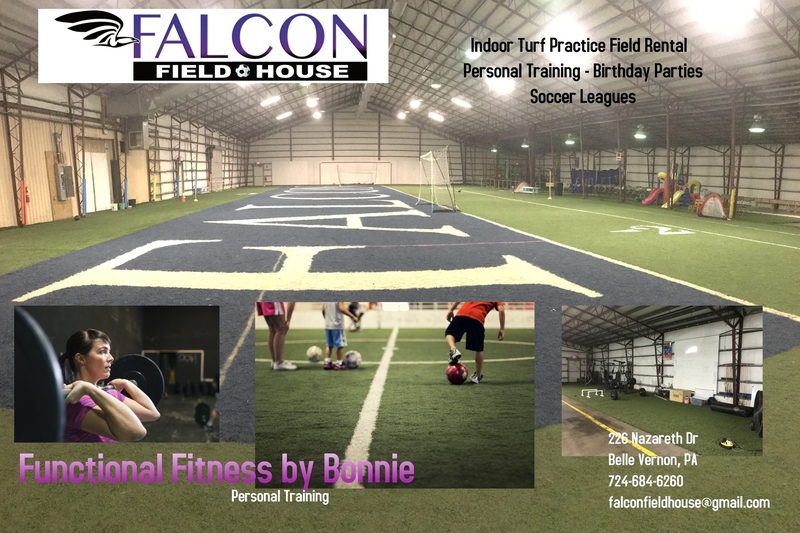 Our goal is to bring an affordable indoor turf area for year round training to the Mon Valley. The field is 165 ft x 75 ft. and available for rent for your practice or event. League play is also available. Copyright © 2001 - 2019 Falcon Fieldhouse . All Rights Reserved.